It is also a good practice to maintain a written record about details of the policies and leave simple instructions that can be accessed by your dependents when you are not around to guide them. Life insurance acts as a safety net, protecting your family from financial vagaries in your absence. But buying life insurance is just the first step in the right direction. In order to ensure that your beneficiaries have a smooth claims process, there are a few steps that you must take after buying life insurance. The family must know that you have purchased adequate life insurance policies to protect their future. 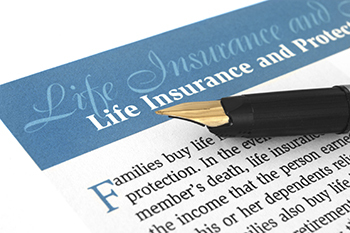 As morbid as it may seem to talk about your death to your loved ones, it is financially prudent to tell your spouse or children (if they are grown up enough to understand) about the life insurance coverage that you have purchased for their financial security when you are gone. It is also a good practice to maintain a written record about details of the policies and leave simple instructions that can be accessed by your dependents when you are not around to guide them. Your original policy bond is an important document that ought to be kept safely. It would be prudent to also keep copies of it in separate places just in case you happen to misplace the original copy. The most important aspect is keeping details of your life insurance policy handy and ensuring that you share the same with you family or nominees. It is a good practice to keep digital records of all your important policy details like policy number, name of insurer, contact and claim process etc. These can be shared through numerous cloud based applications available these days. Keeping digital copies also ensure that in cases of physical calamites where one may lose hard copy records, there is always the safety net of digitized copies which can be retrieved from anywhere. In a world of advanced digital technology, most of your records are also maintained digitally at the insurer’s end and most insurers now can process your claims if you can produce digital copies of your documents. A nominee is chosen when a policyholder is purchasing a policy. This should not be overlooked as a mere formality. Proper nomination is an absolute necessity to ensure that your dependents get the benefit of your policy in a hassle free and swift process. You have the option of changing nominees any number of times during the tenure of your policy, by filling a form available with the insurer. The latest information supersedes all previous nominations. If you make a change to your nominee information in your policy, anytime during the tenure of your policy, do not forget to collect the acknowledgement of the same from your insurer and keep this in records safely along with your original policy documents. In case you are shifting residences, ensure that you update your new communication address to the insurer. Any other changes to your contact information, such as, a change in your telephone number or email addresses should be communicated clearly and updated with the insurer. This ensures that you or your nominees have no chance of missing out on any important communication that is sent on behalf of the insurer. You have worked hard all your life to pay the premium from your hard earned money for the safety and protection of your family. Such efforts can come to a naught if your dependents remain unaware of the policies that you have purchased or details of the same. Just buying life insurance policy therefore is not enough. You can put these above tips to good use to ensure that your life insurance policies are rendered useful to your nominees. A small effort on your part today may save a lot of trouble for your loved ones later. The author is Executive Vice President & National Relationship Head - Axis Bank Channel, Max Life Insurance.